Well, isn't this exciting! 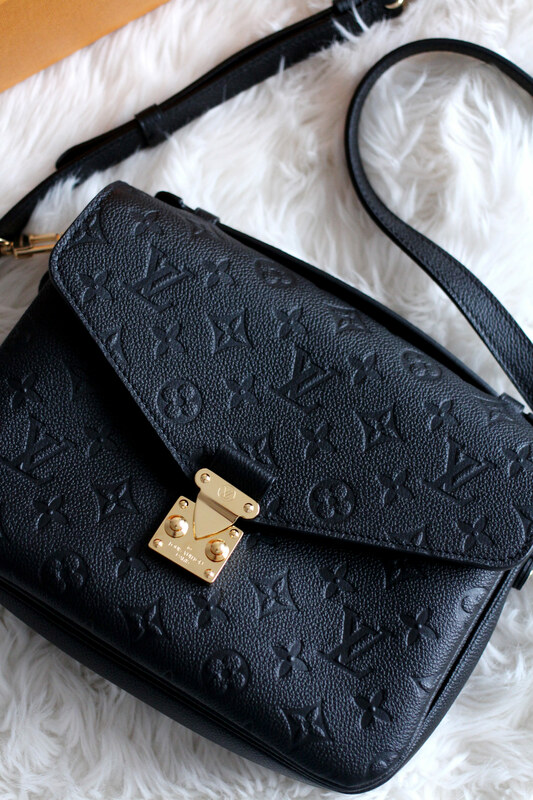 Say hello to my new baby - the Louis Vuitton Pochette Metis in black monogram empreinte leather. I could scream whenever I look at these pictures, I really could. I haven't had a new bag since last February when my boyfriend kindly saved up and got me the Chloe Drew in grey (more on that here) as a Valentine's Day/general present, for which I was eternally grateful. So, I'd been obsessively wearing it and my other bags for over a year and, you know me, I had a longing for something shiny and new in the handbag department. I initially wanted - and may still get at a later date - the large Chloe Faye in tan (or burgundy), but as people were saying you have to treat it like a small bag if you want it to keep its shape, I was a little put off. 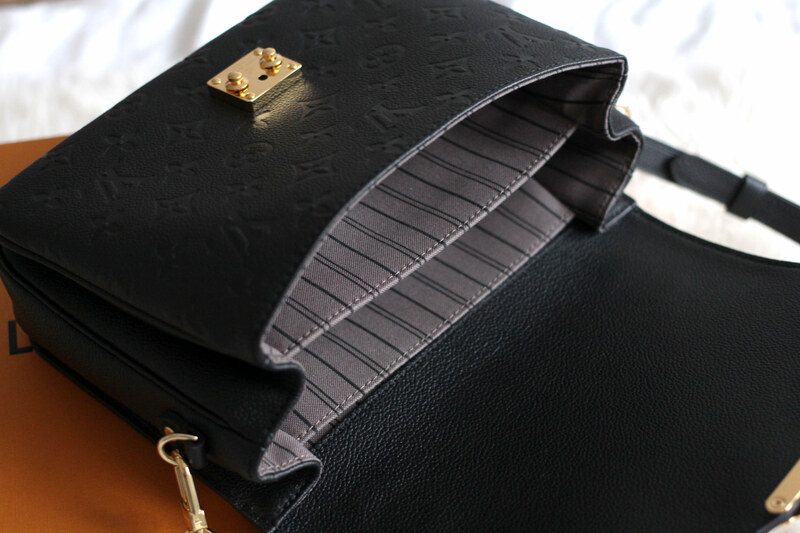 I wanted a bag that was roomy enough for my camera and all my general junk - so that's where the Louis Vuitton Pochette Metis came in. It's the perfect size for every day use and I was a little bit surprised at how much room was actually in it when I took it out of the dust bag. It's honestly ideal! 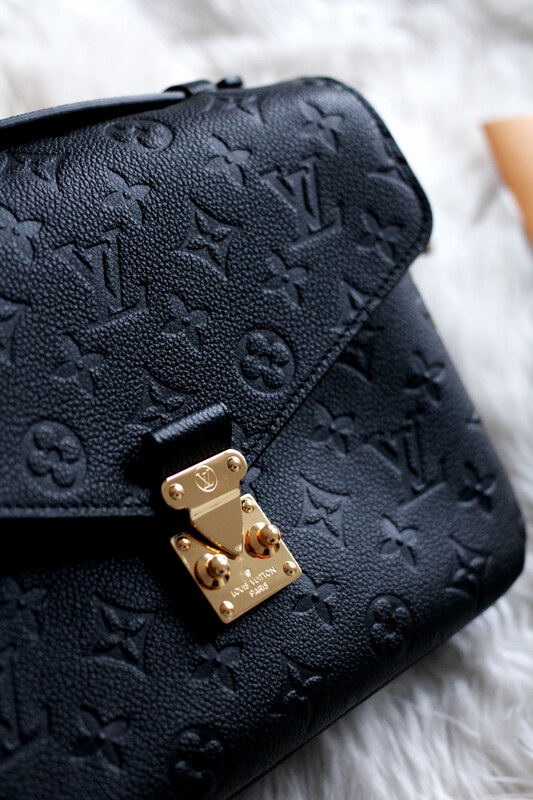 The leather is sturdy and quite thick without being heavy or too stiff, the gold hardware is great quality so hopefully it won't scratch easily and the overall look of the monogram makes my heart flutter a little bit. I decided on the black leather as it suits my style more. I've never really been a fan of the brown LV print, as there's been so many fakes kicking around over the years and I think it's just cheapened the look a bit. 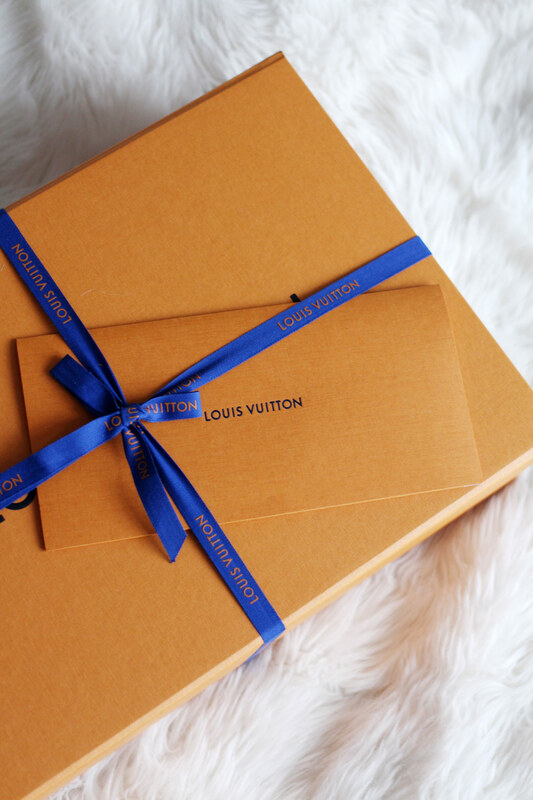 If you're spending your cash on luxury, you want it to be, well, luxurious right? 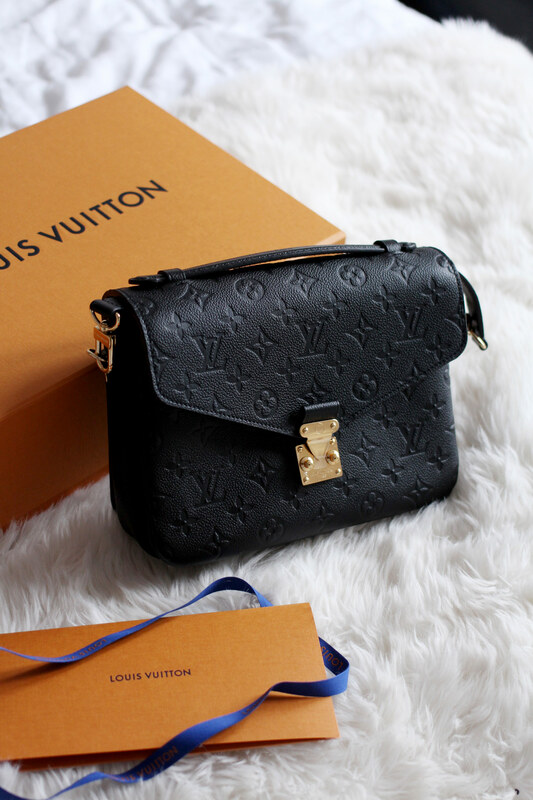 I think the Louis Vuitton Pochette Metis definitely has that feel! I can see this as the start to a glorious relationship and I promise you will get sick of seeing it - like you probably are with my black Chloe Faye as I've worn it to death - but I'm just so pleased with it! What do you think?